On the 30th October 2018 the Rt Revd Christine Hardman, Bishop of Newcastle, spoke in support of the Newcastle Upon Tyne, North Tyneside and Northumberland Combined Authority (Establishment and Functions) Order 2018. 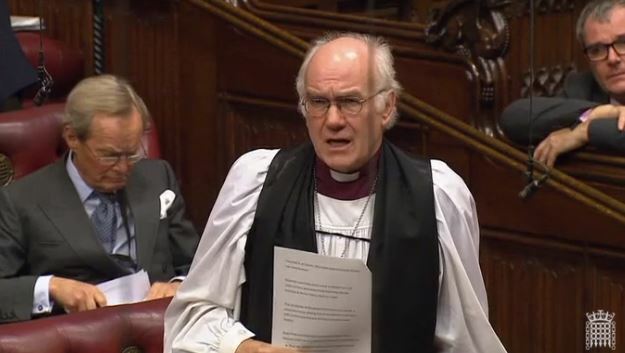 On Monday 6th December, Lord Prior of Brampton repeated a Government statement in the House of Lords regarding the acquisition of Vauxhall-Opel. The Bishop of Chester, the Rt Revd Peter Forster, asked a supplementary question. 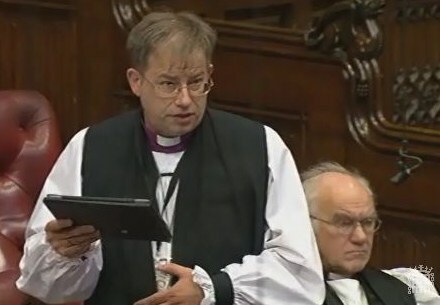 On the 12th January 2017 Baroness Massey of Darwen held a debate in the Lords, “that this House takes note of the Institute for Public Policy Research’s annual State of the North report, and the case for equality of opportunity and sustainable productivity.” The Bishop of Leeds, Rt Revd Nick Baines, spoke in the debate about the importance of integration and connectivity in growing a balanced northern economy. The Archbishop of York also spoke in the debate. The Lord Bishop of Leeds: My Lords, many of the points I wanted to make have already been made, and I will not repeat them, but I do want to emphasise one or two points. When we talk about the north, I sometimes think it is a bit like the way we talk about Africa, as if it was one monolithic place. The north is not. It is very diverse, differentiated and complex. For example, we have heard about Bradford having a very young population, 23.6% being under the age of 16. Where are the jobs for them? 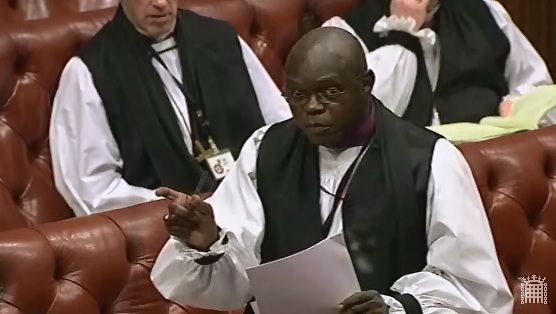 On the 12th January 2017 Baroness Massey of Darwen held a debate in the Lords, “that this House takes note of the Institute for Public Policy Research’s annual State of the North report, and the case for equality of opportunity and sustainable productivity.” The Archbishop of York, Most Revd and Rt Hon Dr John Sentamu, called for greater investment in and devolution to the north to create a more diverse economy that draws on the skills of northern people. The Archbishop of York: My Lords, noble Lords will not be surprised that an Archbishop of York is keen to contribute to this debate on the state of the north of England, but, as I remind myself, one title held by all Archbishops of York is Primate of England and Metropolitan. In focusing on the north, I want to avoid any suggestion that the north and south of England can be spoken of as if a latter-day Hadrian’s Wall has been built from the Dee to the Humber. We are one nation, and I, for one, want to see the bonds and sympathies between all people of this land strengthened. It is very good that the state of the north is being debated today in your Lordships’ House. The state of the north is important because, unless we get things right in the north, the whole country will be more divided, less prosperous and unhappier. In short, the whole country needs the north to flourish. On 3rd November 2015 the House of Lords debated a motion from the Earl of Selborne, “That this House takes note of the Report of the Science and Technology Committee on The Resilience of the Electricity System”. The Bishop of Sheffield, Rt Revd Steven Croft, spoke in the debate to welcome the report, and stress the importance of supporting the steel industry whilst adhering to our climate change obligations.